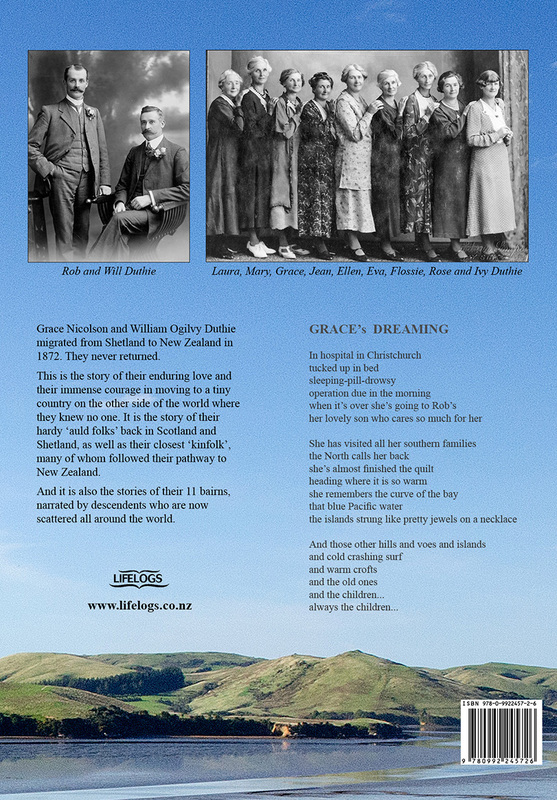 This is definitely not a dry history – they are the type of stories shared by many of New Zealand’s early pioneers. – Da Flittin’ is inspired by the ‘flitting’ (a Shetland term for changing home) of many of the Duthie family’s ancestors. 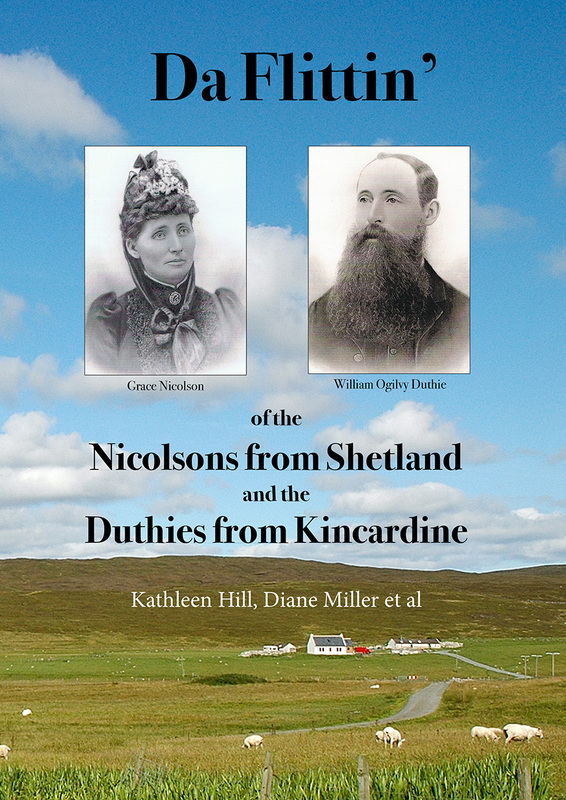 The book centres on the lives of William Ogilvy Duthie and Grace Nicolson. Starting with their elopement on a sailing ship, we follow their adventurous travels from Scotland and Shetland and throughout their new home in New Zealand, at the far end of the world. – Their 11 children all star in the 2nd section, ‘Their Bairns’. Many family members have told their grandparent’s story and shared their photos. – Another section is devoted to ‘Their Kinfolk’ – William and Grace’s brothers and sisters. Tales of whaleboats stuck in the Arctic ice, and horrific sea voyages could qualify for Extreme Adventure series on TV. – The last section ‘Their Auld Folk’ takes us back even further in time, to William and Grace’s ancestors, the Duthies and Ogilvys in Scotland and the Davidsons and Nicolsons in Shetland. ILLUSTRATIONS: 102 Colour images and 246 Black & White photos. 48 Newspaper clippings, 48 maps. 33 family trees and charts.